LIVERMORE, Calif. -- A quickly-spreading grass fire outside of Livermore grew to 125 acres before it was contained Thursday afternoon, Cal Fire officials said. 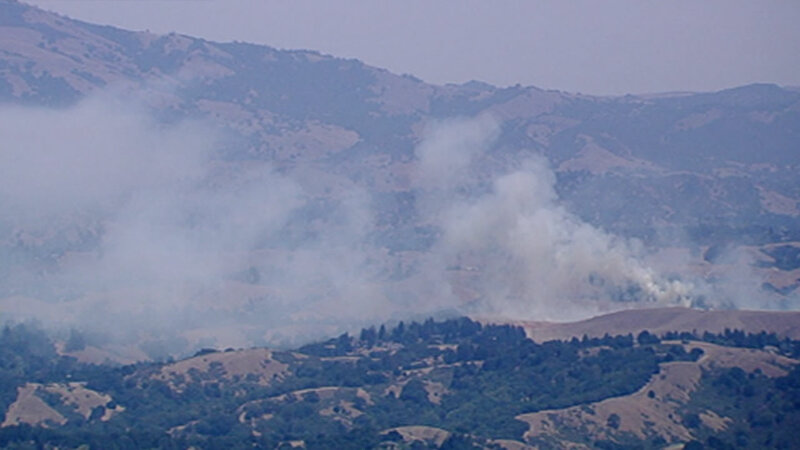 Fire crews responded at 11:30 a.m. to a report of a grass fire off North Vasco Road near Livermore, Cal Fire spokeswoman Pam Temmermand said. Officials with the East Contra Costa Fire Protection District said the fire was near the border with Contra Costa County and was not impacting traffic along the road. Temmermand said the fire was growing quickly, likely because of wind and an abundance of dry grass in the area. By about 12:15 p.m., the fire had grown to about 50 acres. It was contained at 125 acres as of shortly after 1:30 p.m., Temmermand said. No structures were damaged and no one was injured, she said. #VascoFire [update] off Vasco Rd, 3 miles southwest of Byron (Contra Costa Co.) is now 100 acres & 75% contained. Forward progress stopped.